All across the country, men and women who work in the auto body repair and collision repair business are doing charitable acts to help support their community. Many of these acts go largely unnoticed. Today one such auto body repair company, ABRA Auto Body & Glass helped raise $23,000 during the second annual Brickyard Crossing Charity Golf Tournament to benefit Riley Children’s Foundation. Among the over 100 golfers and guests gathered at Brickyard Crossing Golf Course in Indianapolis, in attendance were members of the Indiana ABRA Auto Body and Glass company. Golfers and their guests made donations to support Riley Hospital for Children at Indiana University Health’s world-class research program, where physician-scientists move their discoveries as quickly as possible to the bedsides of children. 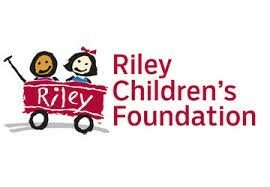 The Riley Children’s Foundation supports the Riley Hospital for Children at Indiana University Health, Camp Riley and the James Whitcomb Riley Museum Home. As Indiana’s only comprehensive hospital dedicated exclusively to the care of children since its founding in 1924, Riley Hospital has provided compassionate care, support and comfort to children and their families. Each year children from all 92 Indiana counties turn to Riley Hospital and its regional clinics throughout the state more than 300,000 times. Riley Hospital’s partnership with Indiana University Health and its strong affiliation with the Indiana University School of Medicine make Riley Hospital the leader in pediatric care in the state and the region. Since 1984, ABRA has been supporting charitable causes throughout the United States with similar core values and common goals. The company has raised hundreds of thousands of dollars for local charities across the country. ABRA is a leading provider of vehicle repair services specializing in collision repair, paintless dent removal, and auto glass repair and replacement. ABRA’s mission is to be the best auto body and glass company in America by providing quality repairs, in a timely manner, with friendly, helpful service.